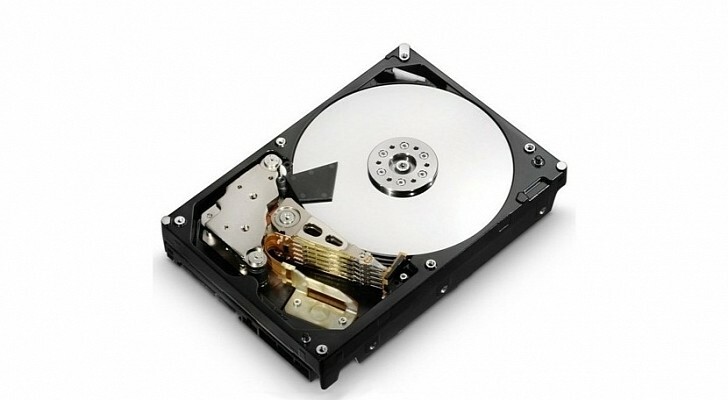 Storage devices may come in various forms, especially if a certain client makes specific PCB and magnetic storage demands, but the HDD continues to be the main building block for all high-storage systems, and an essential part of PCs. That's why an 8 TB model will turn the world on its side just by existing. Technically speaking, hard disk drives with a capacity of 6 TB are already considered gargantuan pieces of work, although they still retain the size of 4 TB models. Then again, that is the entire point: to increase the data density of each platter and thus cram more and more data in the same package. It is similar to how CPUs gain more transistors with each iteration. Seagate has really gone beyond the pale this time, though. And the company didn't exactly forewarn the world either. Sure, there were some murmurs about HDDs greater than 6 TB, but they were muted, and rare. Now, however, during the latest quarterly earnings call, officials have said ( http://vr-zone.com/articles/seagate-announces-8tb-hard-drive-samples-shipped-customers/80599.html ) that not only has Seagate completed development of such a drive, but it is testing it as part of OEM systems. Or, rather, OEMs are testing it in their various cloud servers and data centers. The engineering samples have been proven quite functional. Unfortunately, Seagate has not revealed when the 8 TB (8,000 GB) drives will become commercially available. Feedback will determine that, to an extent. Making a high-capacity HDD is not as easy and straightforward as it sounds, because it's not a simple matter of adding a new platter. It isn't possible to cram more than five platters in a 3.5-inch unit, unless you use helium (a much lower-density gas than air) or void. Either way, more data needs a greater density per disk. The fact that Seagate has 8 TB drives now is nothing short of remarkable. On the other hand, it is also quite overkill, considering that Seagate and long-time rival WD (Western Digital) are still trying to get prospective buyers sold on the idea of a 6 TB unit. It was only recently that 6 TB HDDs became supported by some NAS devices after all. In theory, PCs could adjust to 8 TB easily enough. However, Seagate is unlikely to offer such monster storage units to regular people for months yet, maybe years. For a time, it will reserve the drives, provide them only as unique offers for large-scale corporations that run high-capacity data centers.